Led by Ghana-born master drummer Tuza, African Beat is the most authentic provider of African entertainment in Australia. Specialising in interactive African drumming for team building, our performances are dynamic, authentic and create a sense of unity and team spirit through the power of music. We have been mesmerising audiences since 2007, performing for everyone from The Pope, The Socceroos, Kim Kardashian and The Premier of NSW. Whether you are searching for entertainment for school groups, corporate team building, a wedding or charity event, we guarantee that powerful African beats will get the audience on their feet — and talking about it for years to come! At African Beat, we pride ourselves on being Australia’s most authentic providers of African performance. All of our professional dancers and drummers have grown up in Africa, embodying the traditions and spirit of the nation. We guarantee you will be wowed by our talented performers who look and sound the part! With over 15 years of experience, our expert team has the skills, knowledge and talent to ensure your team building event is a success. From the planning stage to the performance, African Beat goes above and beyond to create a hassle-free and enjoyable event that suits your individual needs. Tuza is a Master Drummer from Ghana (West Africa) and the pioneer of African Beat – named one of the 100 Faces of Small Business for 2018. Tuza began drumming when he was a child on a plastic jerry can and practised every day after school with the local musicians from his tribe – the “Ga” people. Later he developed his skills with Ghana’s top National cultural troupe, The Dance Factory. African Beat began with the purpose of sharing Tuza’s rich cultural heritage with people from all walks of life. Tuza brings over 15 years of facilitation experience to African Beat’s corporate events, along with his exuberant energy. 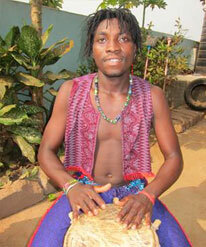 Tuza also leads The Salaka Ensemble, one of Ghana’s acclaimed tribal drum & dance troupes. Members of The Salaka Ensemble visit Australia annually performing nationwide. Tuza facilitates African music intensive workshops to Ghana (every January). Widely recognised as one of Australia’s finest drummers, Tuza transfers his passion for drumming into the hearts of every participant. 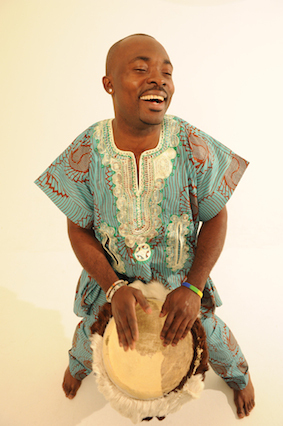 Sammy is an exceptional drummer, dancer and performer from The Salaka Ensemble. One of Salaka’s original members, Sammy trained under the tutelage of Master Drummer Tuza. He has blossomed into an inspiring teacher and is valued greatly in the ensemble. Sammy has visited Australia for on tour every year since 2008 and has now settled here. We are truly blessed to have him based in Australia year-round. Another passion of his is Ghanaian politics. After coming to Australia and experiencing the opportunities here, he dedicates every spare moment to help improve infrastructure in Ghana. But first and foremost, Sammy LOVES performing – it’s what he lives for! Mohamed comes from Guinea (West Africa). He was a member of the internationally acclaimed “Percussion de Guinee” and other National Ensembles. Mohamed was born into a family of Griots (urban storytellers and teachers of history), which seek to keep alive their traditional culture through music and song and to pass on the stories of Africa to future generations. Mohamed teaches drum workshops annually in Japan, Korea, China, Guinea and the Czech Republic. He holds regular drum classes in both Sydney and Canberra – contact us for more information. Mohamed is a renowned and highly respected Master Drummer, sure to delight audiences young and old. Lucky almost looks like he’s going to fly when he leaps in the air, dancing with beautiful grace. With over 14 years of training in numerous genres of dance, including African traditional, Afro Contemporary and Salsa Dance, he is renowned for his high energy, versatile dance style. He was the principal dancer and choreographer for the Susuma Pan African Dance Ensemble, World Wonder Soundz, Unique Afro Theatre and the Salaka Dance Ensemble. 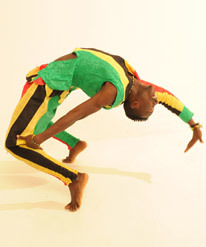 Growing up in Ghana, he is recognised in his local community for his passion and knowledge of dance. He holds regular dance classes in Sydney – contact us for more information. Lucky brings excitement and powerful energy to African Beat’s events. 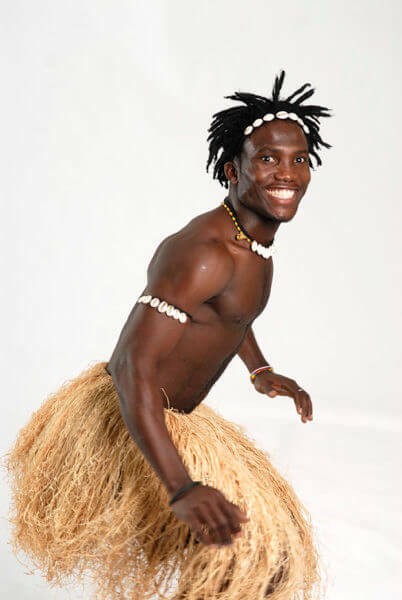 Pepsie is an energetic dancer and choreographer from Zimbabwe (Southern Africa), with over a decade of experience performing and teaching African dance. 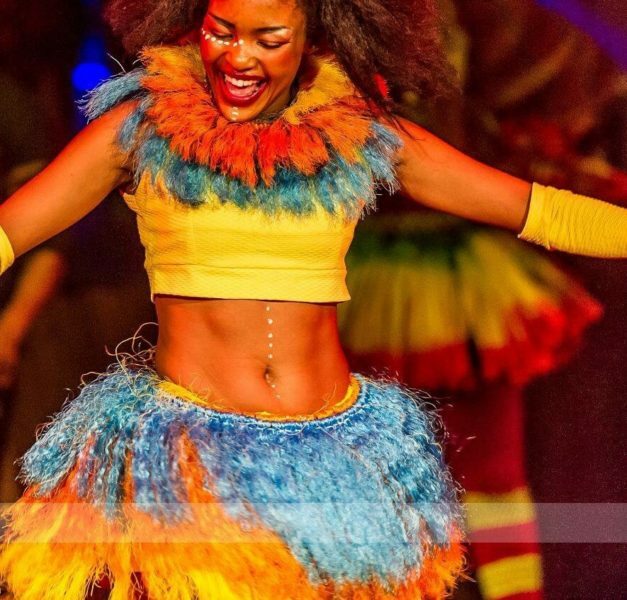 With an array of skills in dance styles including Zulu, Tswana, traditional Zimbabwean, Zaoli, Gumboot and Panstula (a South African ghetto dance), she’s sure to bring an exciting edge to your event. After touring the world (Europe, Africa, America) with Iyasa an award-winning group from Zimbabwe, she collaborated with Theatro Piccolo and Dschungel Vien from Austria under Assitej, winning an award for “Outstanding Female Dancer” in Zimbabwe (NAMA). Later she worked with Mother Africa circus and Cirque Africa. Dance is Pepsie’s life and the stage is her home. If you have ever heard Odai sing – you will never forget it. He has an exceptional voice and somehow manages to drum and sing and lead at the same time! Odai began drumming with the Nungua Apostolic Church when he was a child and later became one of the founding members of The Salaka Ensemble. Odai has also worked with the Abladei Group (now based in the UK), performing with them locally and was featured on their CD, Mobo Bi. 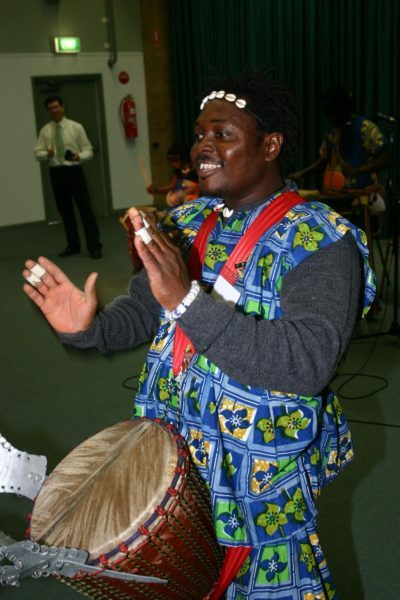 Odai lives in Ghana & regularly comes to Australia for The Salaka Ensemble’s tour. Mory is a passionate African Dancer. 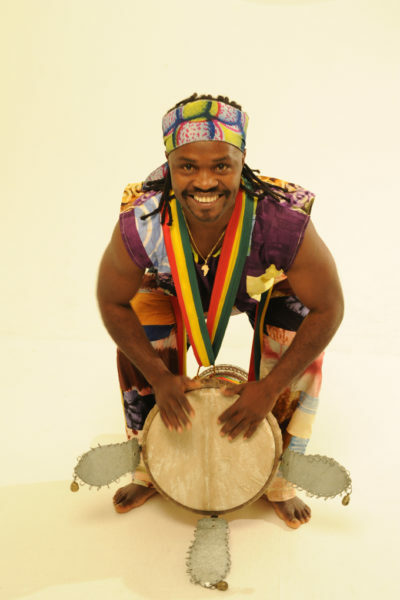 Born in Guinea, he is a custodian of the rich West African tradition of percussion and dance. From the age of 8 years old Mory trained with Ballet Matam and Matam percussion under the renowned director and choreographer Mr Sekouba Camara. In 2005 Mory was selected as one of the top dancers in the Ballet Matam (Guinea) and travelled to Toulouse, France to run intensive workshops at the “Toucouleur” Festival. In 2005 Mory received his Diploma of Dance and Choreography from the Tabala Alliance Performing Arts College from Conakry. Since arriving in Australia in late 2006, Mory has quickly gained recognition as one of Australia’s most talented West African dancers. He performed with the internationally acclaimed Kora player Toumani Diabate at the Sydney Opera House. Mory tour’s through remote towns such as Tennant Creek and Margaret River to the major cities. Mory is based in Canberra, ACT, and holds regular dance classes. Ezekiel started his music career at the young age of 10, becoming part of The Junior Salaka Ensemble. He quickly stood out as the best percussionist and a beautiful singer, skilled at performing both talents at the same time! He brings with him lots of performance experience at local festivals, parties and funerals and was a welcomed member of the adult ensemble when he was old enough to join them. 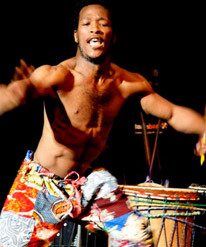 Ezekiel drums with vibrant energy, wearing a huge smile, drawing the audience into the performance and conveying the richness of African music. Ezekiel visited Australia to tour for the first time in 2013 and has been back almost every year since. 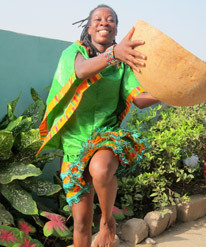 Anas is a calabash player and dancer who began studying music at an early age with her local Church in Accra, as part of a catholic youth organisation. When she completed school she joined Ghana’s National Theatre Youth Group, travelling and performing with them in Germany and Austria in 2004, as well as in neighbouring African countries like Togo & Nigeria. Anas joined The Salaka Ensemble in 2006, bringing with her a wonderful love of music, talent and incredible commitment to her artform. She has performed for notable people such as the President of America, Bill Clinton and First Lady Hillary 1998 and the Prime Minister of the UK, Tony Blair 2002. Anas performed with Salaka in schools during a tour to Australia in 2012 and came back again in 2017. Alima began her studies in traditional music at the age of 12, having the privilege of touring Holland twice with the Ghana Junior All-Stars. Along with 14 other aspiring performers, she performed at the World Children’s Festival, combining pop, percussion, traditional dance, and acrobatics. Alima joined Salaka in 2005 and is the lead female dancer. She brings an exciting flavour to The Salaka Ensemble with her passion for African dance.